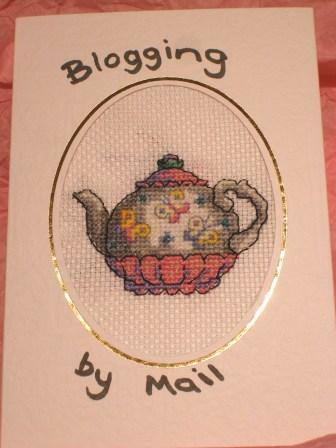 The Sour Dough: Blogging By Mail: 10 Fantastic Small Things! One of the blogging events that I think is just about the coolest blogging events is Stephanie's Blogging By Mail. This is where you sign up to send a physical package of goodies based around a theme to another blogger somewhere in the world. I've been paired in the two BBMs I've participated in to two really awesome people who've become daily reads for me. This time around the theme was "10 Items or Less" and once again, the magic that Stephanie does when she pairs us up because my package came from the really awesome blogger from "down under" Cakelaw! and saw who my box was from. It was like a prelude to Christmas here when I started delving into the layers because for 10 Items or less Cakelaw had absolutely picked 10 of the best things I've ever received in small box. 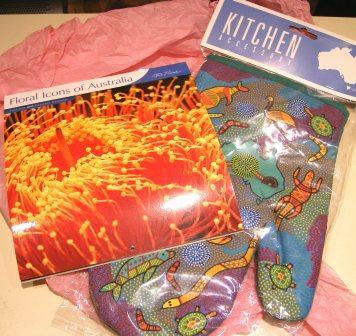 First there was the calendar of pretty flowers and an oven mitt with Aussie critters all over. 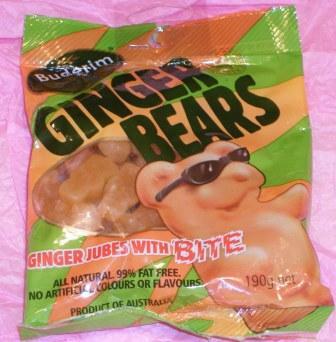 Then there was the bag of ginger gummies! Cakelaw, I love gummies and we were just comparing what was the best gummie flavour at the office last week. I can't wait to take these in and share them with the gummie connoisseurs. 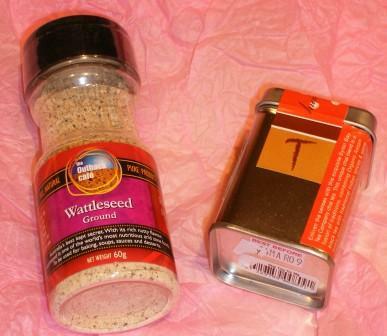 Right under the bag of gummies was a bottle of Wattleseed, which I've always wanted to try in bread and baked goods and a tin of Chai tea, which I immediately brewed a spot of. 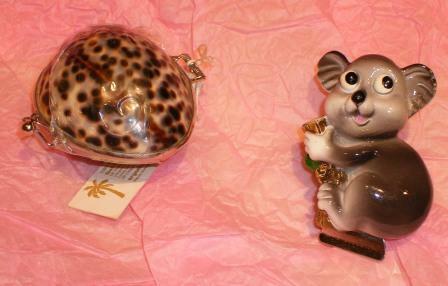 Along side the tea and Wattleseed was a cute Koala magnet and a neat compact of lip balm, that will find its way into my purse. 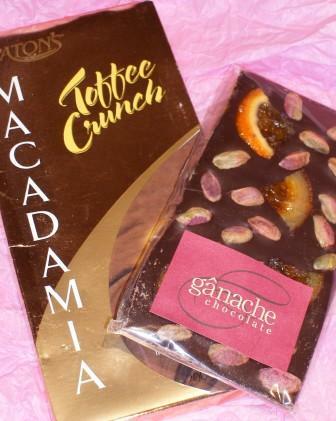 And finally, something that makes my heart always skip a beat, two fantastic bars of chocolate. 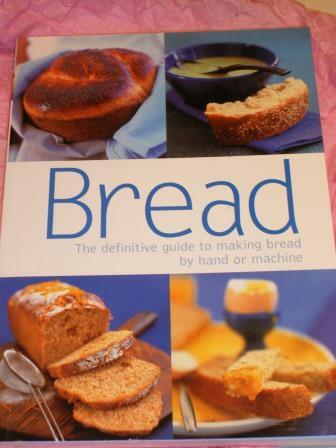 Right under the chocolate was a small book on baking bread and I've already marked three breads I can't wait to try. I can't thank Cakelaw enough for putting such a great package together for me. It made a pretty good day even nicer.